Hey! Welcome to Samanthability! I’m Sam, and I’m so glad you’re here. This blog has come a long way since I started it in 2015. 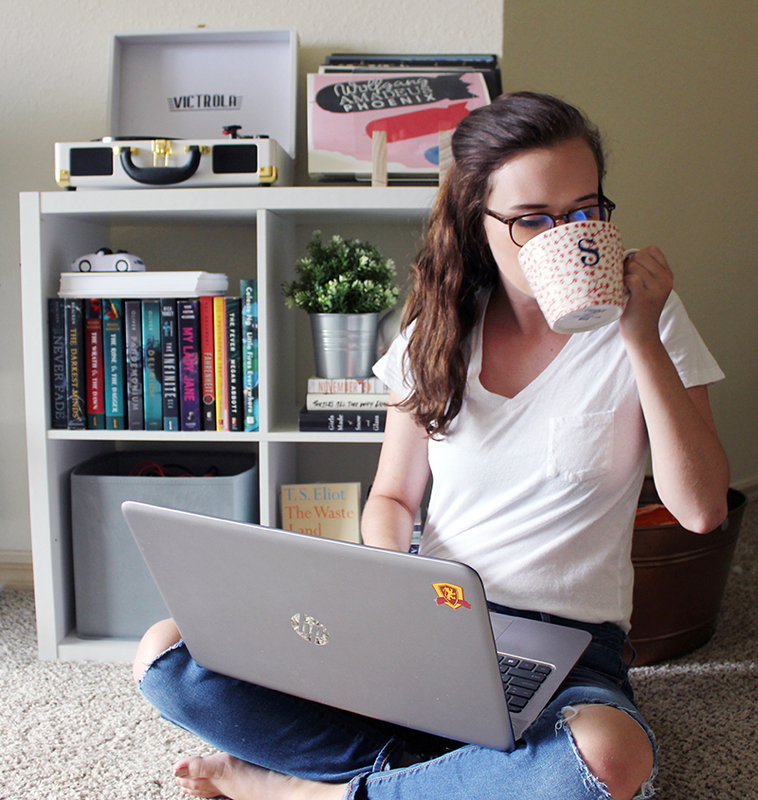 While it used to be a college lifestyle blog in the early days of college blogging, it’s now an exploration of living a digital post-grad lifestyle. Follow along as I talk about my own experience freelancing, blogging, and building a brand all while living life on my own terms! Life is not a series of gig lamps symmetrically arranged; life is a luminous halo. I realize I spent so much time trying to tick milestones off some imaginary checklist: Go to high school (check), go to college (check), get a “real job” (check). I checked all those boxes. I was wandering along the path of life looking for the next gig lamp. Everything was going according to plan, so why did it feel so wrong? I started wondering if it was me. If something inside my brain was broken. Maybe I shouldn’t have taken a year off between high school and college to travel the world. Maybe I shouldn’t have started a blog my second year of college. Maybe I was doing something wrong. Wasn’t this supposed to feel great? I’d accomplished everything I wanted. The breaking point came after I got my first 9-5 gig. I was working at a small digital marketing company, I was writing every day for clients. As an English major, this should have been a dream come true! Yet, I still struggled to get up every day when my alarm blared at 7 am. I spent nights after work exhausted and constantly dreading the next day. The thought of another 30+ years of my life spent doing that same routine–get up early, work 8 hours in an uncomfortable office, go home, repeat–made me depressed. I felt like I’d been sold a nightmare. Like I’d spent my entire life working towards some kind of candy-coated cubicle. It took me 8 months to build up to it, but I’d known what I had to do since the first day I stepped foot in that office. I quit. Now, I’m devoting myself to working online full-time. I already blogged my way through college, and this wouldn’t be my first time throwing myself headfirst into freelance writing and other side gigs. This is real life sink or swim, and I’m determined to swim. This blog is dedicated to highlighting the highs and lows along the way. The rose-colored glasses are coming off. Working for yourself isn’t a fairy wonderland. It’s really, really hard. But it’s possible not just for me, but for you as well! Too many young people, especially young women, grow up thinking there’s only one path. High school (check), college (check), “real job” (check). Are you tired of chasing the gig lamps? Maybe life isn’t the luminous halo Virginia Woolf claimed it to be, but at least we can say we tried. Join me on my journey! We’re going to do some awesome things! Here are some of my favorite posts to get you started! My name is Sam and I’m a 22-year-old from Orlando, Florida. After majoring in English, I knew writing was the only path for me. Now, I’m a freelance marketing content writer, and I blog about business, blogging, and more on Samanthability. While I want this blog to be a positive space for everyone, I write it particularly for other young women looking to take the path less traveled. As a writer, I have the freedom to work from everywhere. You’ll likely find me typing away at different coffee shops around Florida, but I’m also a dedicated world traveler. I’ve been to 30+ countries, and it’s basically a lifestyle at this point. Finally, I am an Editor and Founder of Capulet Mag, a literary magazine for young women which is released both digitally and in print twice a year. When I’m not blogging or writing, I like to read, play with my dog, and explore Orlando. Follow me on Instagram and Twitter to see what I’m up to! Feel free to contact me here if you’d like to say hello.